Customs officials at Brisbane Airport say more people are trying to smuggle steroids into Australia than narcotics. They say thousands of travellers are also ignoring warnings about bringing weapons back from overseas, hidden in their luggage. About 22 million passengers are expected through the Brisbane domestic and international terminals this financial year, which is about 500,000 more passengers than 2011-12. Nearly 60 separate commercial quantities of illegal performance and image-enhancing drugs were found this calendar year, which is about six times the amount of narcotic seizures for the same period. Customs spokesman Keven Gray says the size of packages discovered has varied. “It would generally vary between say 500 tablets or half-a-dozen vials, up to several thousand tablets and hundreds of vials, depending on how frequent they want to use and how much money they have I suppose,” he said. 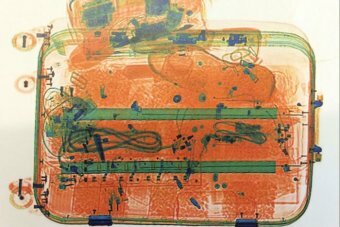 PHOTO: X-ray of bag containing $800,000 of methamphetamine in a secret compartment of a suitcase found at Brisbane Airport. In November, Customs officials seized $800,000 worth of methamphetamine hidden in a secret compartment of a suitcase belonging to a passenger from Hong Kong. At the Gold Coast Airport in early November, 29,000 steroid tablets were found hidden in bottles of medicine. Meanwhile in October, two Japanese men were charged with trying to smuggle 30 lizards out of the country from Perth in Western Australia. Fines of up to $170,000 or five years in jail apply for smuggling steroids, and up to $270,000 or 10 years in jail for smuggling weapons including Tasers. However, knuckle dusters, swords, knives and Taser-type items remain among the trove of souvenirs found at Brisbane airport this year. Mr Gray says it proves some passengers are still refusing to heed warnings. “There are some fairly significant fines and loss of the goods at stake if you actually do get caught with the goods,” he said. Mr Gray says travellers are buying such items from overseas where it is legal. “People can buy Tasers from market stalls,” he said. “They’re often disguised as other novelty items and utility devices like mobile phones.